GEORGIA -- Authorities have charged a young boy in the shooting of a pet goat last month in northwestern Forsyth County. Sandra Scarboro said her 18-month-old female Boer goat has recovered since being wounded in the shoulder March 29 with what was apparently an arrow used for training. The Forsyth County Sheriff’s animal control unit handled the investigation. Sheriff’s Lt. David Waters said a grade-school age boy faces a misdemeanor charge of cruelty to animals. The child’s name has not been released because of his age. The goat is one of about 40 on Scarboro’s Starrbrook Crossing farm, where she also keeps three horses. She said she hopes the boy has learned his lesson. “I just want him to realize that animals have a soul and a heart too and that not one animal deserves to be a target like that,” she said. Scarboro said the incident was especially hard on her 6-year-old son. “Joseph got so mad that somebody tried to shoot his goat that he said, ‘I have to go get a gun,’” she said. “I mean he’s 6 and he got so upset. Scarboro originally considered calling the goat Fortune, but said lately she has referred to it as Arrow. “She’s doing good and I guess she was a lucky goat,” Scarboro said. CANADA -- Arguing owners may have prompted a vicious attack by a nine-month old dog, forcing police to Taser it three times before its capture, police said yesterday. A man and a woman in their 20′s were walking the rare Presa Canario breed puppy in the northeast Calgary neighbourhood of Saddle Ridge around 12:30 a.m. when the dog turned on them. “We believe the couple was arguing when the dog began biting them aggressively,” Staff Sgt. Geoff Gawlinski said, adding they went to hospital with minor injuries. Witnesses flagged down police and the dog was Tasered. When the dog continued to act aggressively towards police it was Tasered a second time before it fled. Police followed the dog to the porch of a nearby home and after the police devised a plan to minimize collateral damage, the dog was Tasered a third time as it continued to act aggressively, according to Gawlinski. Animal and bylaw services boss Bill Bruce said a full investigation will be launched before any decisions for the animal’s fate will be made, but said this case is much different than another dog attack that occurred last Friday. “In this case, the dog attacked its owners, and in the other case the dog got out of the yard and started attacking random strangers for no apparent reason,” Bruce said. The dog was not harmed and remains in animal services custody pending further investigation. TENNESSEE -- A 45-year-old Trimble man accused of cruelty to animals was not prosecuted in Dyer County Circuit Court on March 17. Michael Robertson, 45, 35 Gin St., had been accused of neglecting to feed and provide medical care for his dog, a bulldog mix. When the dog was confiscated April 7, 2008, it reportedly suffered from undernourishment and severe infestations of hookworms, roundworms and heartworms. The dog died on April 15, 2008 - barely a week after being rescued. 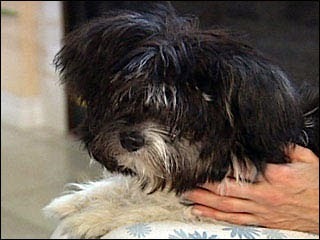 Robertson insisted he had provided the dog with medical care. CALIFORNIA -- A Riverside County man was arrested on charges of felony animal cruelty after police say he bludgeoned his horse with a sledgehammer, decapitated it with a chainsaw - WHILE IT WAS STILL ALIVE - and then fed it to his dogs. Jack Ziniuk, 64, of rural Anza called authorities Sunday morning to say his horse had been injured by dogs, was having seizures and needed to be put down, Riverside County Sheriff’s Sgt. Bill Roach said. But when officers arrived they found a headless horse. A bloody sledgehammer was submerged in a bucket of water and a chainsaw sat nearby. The animal’s head was lying in a dog run where Roach said it was serving as food for Ziniuk’s dogs. Roach said he didn’t know why Ziniuk would call police saying his animal was ill and then behead it before they arrived. The Riverside County Department of Animal Services has been to Ziniuk’s property numerous times because of his animals' living conditions, said John Welsh, department spokesman. Court records show that Ziniuk has faced multiple kennel violation charges along with failure to get his animals properly vaccinated. Welsh said Ziniuk had at least 33 dogs, eight puppies, 10 goats, peacocks and geese. Two other men on the property will care for those animals while Ziniuk is gone. The horse’s remains have been sent to a state lab, where a necropsy is being done to determine the cause of death and whether it was alive when decapitated. Ziniuk is being held at the Robert Pressley Detention Center. 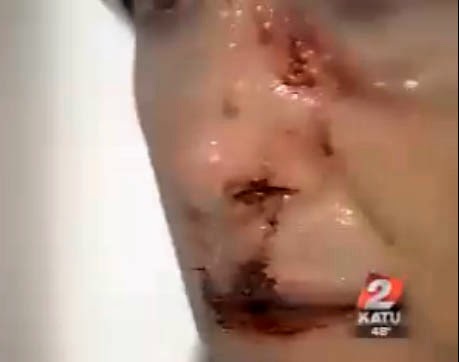 OREGON -- A pit bull attacked a woman who was walking her own dog, biting her in the face and leaving her with severe lacerations. The incident happened Friday afternoon on Miller Farm Road in Woodburn. Just two days ago, a man [allegedley] found the pit bull on a golf course and decided to take the stray in until he could find the owner. Chris (who preferred his last name not be used) said he was keeping the dog in his garage and had called the Humane Society, Animal Services and even looked on Craigslist to see if someone had listed a missing pit bull. He looks upset, doesn't he? But the dog got loose from his house while his mother was getting the mail. 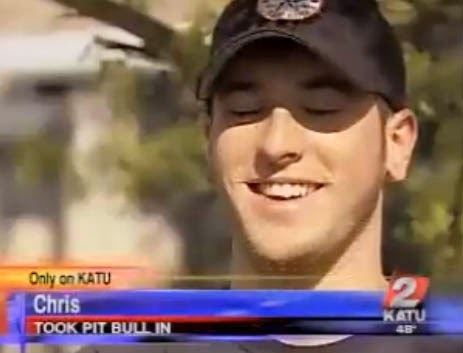 And when Chris came home, the cops were there and he discovered the pit bull had attacked a woman. "I feel horrible for the lady," he said. "My mom is crying non-stop." Margaret Sawyer, 62, had gone for a walk outside her home and didn't get far when the stray pit bull came after her dog, Sadie. "Oh she was screaming, screaming if a dog can scream," Sawyer said. "She was totally terrified." Sawyer fought to keep Sadie safe until a neighbor drove by and offered to help. 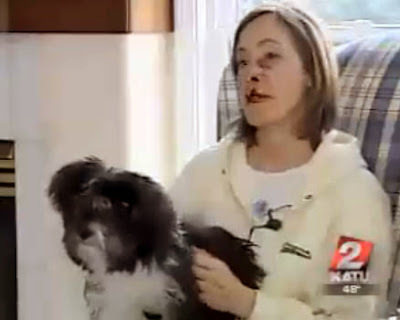 "I was going to put my dog in the window of the SUV and the next thing I knew, it was just like bam, on my face and the dog had bit me," she said. "My lip was hanging. I thought my lip was gone and I was like 'oh my God, my lip is gone' and then I could feel stuff dangling. It was very frightening." Sawyer also ended up with a puncture wound near her eye and is showing her wounds because she wants to send a message. "I felt it was important that people see how much damage a pit bull can do," she said. The dog is now in the custody of the Woodburn Police Department. A decision about what will happen next with the dog has not yet been made but police did say it is unlikely there will be any criminal charges because Chris and his mother are not the true owners. Meanwhile, Sawyer said she has not decided if she will pursue any legal action. Right now, she is just trying to heal. ALABAMA -- The woman at the center of an animal abuse investigation works at a Huntsville business that takes care of animals on a daily basis. 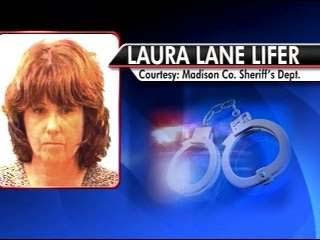 WAFF 48 News found Laura Anne Lane Lifer, 49 of Toney, is the owner of KK & Company, a Huntsville Pet Grooming and Boarding facility just off Pratt Avenue. In a picture WAFF 48 News showed on Thursday, a truck with the company logo on the side is now part of evidence. It was parked right outside her home, a home where animal control officers in Madison County say they found numerous dead animals. On Thursday evening, Lifer was taken into custody and booked into the Madison County Jail. Chad Brooks, an investigator with the Madison County Sheriff's Department, said, "[She has been charged with] 13 counts of cruelty to animals and one specific count of dog or cat cruelty." Cruelty to animals is a Class B misdemeanor, while dog or cat cruelty is classified as a Class A misdemeanor. "In the state of Alabama there is a felony count for this type of offense," Brooks said. "But in this one, the lack of sustenance to the animal which caused their starvation rises to the level of what we charged her with, which is the misdemeanor counts." As for the latest in the Madison County side of the investigation, Brooks said, "Madison County Animal Control is assessing fitness of additional animals which were on the property and they are in process of seeking suitable accommodations for those animals." Sheriff's department investigators believes a cat and livestock animals, including several goats, sheep, and one rabbit, died under her care at this farmland on Hammond Lane. Part of that land is in the city of Huntsville, where another investigation is underway. Huntsville Animal Services Director Dr. Karen Hill Sheppard told WAFF 48 News, "Last week, we initially received a call from a motorist that had found what appeared to be a dead horse and that started the entire investigation." Huntsville Animal Services found four dead horses and others that hadn't been given enough calories to maintain their body weight. "The individual was incredibly cooperative and ended up signing over a large number of dogs and a handful of horses to us," Sheppard said. She added that all five surrendered horses now have new homes. "The horses are currently in really lovely foster homes, and that's really great," Sheppard said. "We had a huge outpouring of love from our community, of horse owners and they're all in really good hands right now and over the next two months will gain a lot of weight and do very well." The 28 dogs her agency received went to several departments: Huntsville's facility, a Birmingham agency, A New Leash on Life, and the Greater Huntsville Human Society, which the director says helped put these canines into really good situations. Sheppard says the dogs were in very good condition. "There were some dogs that were geriatric, and there were some that had a lot of have some behavioral issues and that's not uncommon when you have a large number of dogs to cease them," she said. Sheppard said all 28 dogs are expected to be adopted. The director says her department is continuing to work the investigation and at this point and time is just going to communicate directly with the owner. Sheppard also said she suspects Lifer will also face charges in Huntsville. "There is a condition that we see in animal services and in rescue agencies, people's hearts get ahead of what they're able to handle and it's called animal hoarding," she said. She said the hoarding comes in various shapes and sizes and "this case does appear, has some similarities." Sheppard said animal hoarding is a problem in Huntsville and across America. "Often the animals suffer because the underlying goal for the individual is they're trying to help the animals, but there is only so much one individual can do for a certain number of pets," she said. Finally, she finishes saying, "I think it's important when you see situations like this, if you love animals and end up wanting to help them, to know when you've reached your limit and to know well before you reach your limit that this is the last one that you can handle or manage." WAFF 48 News made multiple attempts by phone and in person to reach Lifer and even passed her on the road to her home. Lifer went to a neighbor's house, and he told us she didn't wish to comment. As of Friday, no court date has been set and WAFF 48 News was told she doesn't have an attorney yet. OHIO -- Pit bull ban: Gallipolis is saying no to the breed after two viciously attacked a 13-year-old girl. That attack happened in the city in January -- that's clear. But the circumstances surrounding the attack are anything but black and white. “If my dog was vicious, I'd kill him myself,” Chris Vanmeter said. He is grieving the loss of two beloved family members. “I feel like they assassinated my family,” he said. 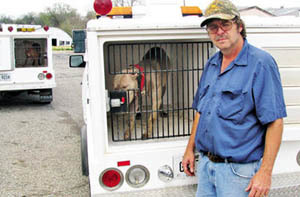 For years, Vanmeter has owned, bred and raised pit bulls. He said his last two, Face and Little Momma, were so gentle that his two young children, including his 2-year-old son, played and toyed with them fearlessly. “They weren’t raised to be vicious; they ate out of my kids’ hands,” Vanmeter said . But in January, the dogs attacked when a family friend, a 13-year-old girl, slipped into Vanmeter's home when no one was there. Police responded quickly and shot both dogs, killing them. “They were very troubled and want to make sure nothing like that happens again,” Gallipolis Police Chief Clint Patterson said. He said the attack was so gruesome, the little girl's arm was nearly destroyed. It didn't take the City Commission long to create and pass a pit bull ban. “We won’t go searching for the dogs, but if someone calls us or we run across them in the line of duty, we will take care of them,” Patterson said. This ban isn't limited to American Pit Bull Terriers. It includes any variation of bull terriers, including the Staffordshire. Once police find out about it, they can seize the dog if it demonstrates vicious behavior. If it doesn't, the owner has seven days to get it out of town. 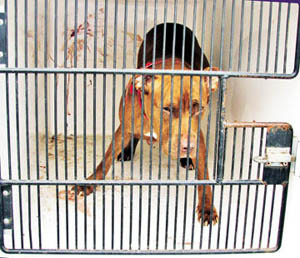 If the owner fails, the city can then take the dog or impose a penalty of up to six months in jail or a $1,000 fine. Amy Bailey has a Poi -- or a type of Hawaiian Terrier -- not included in the ban. But that didn't stop someone from calling the police on her. Needless to say, she has mixed feelings about the ban. Back to Vanmeter -- he said this whole thing didn't have to happen, and he's the one suffering the most. 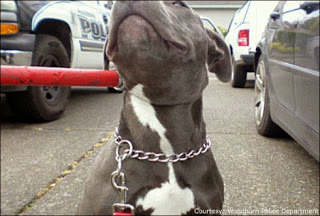 It's up to police discretion as to what's considered a pit bull or any one of the banned bull terriers. Patterson said he's in the process of helping the officers recognize the various breeds. In the meantime, he encourages owners to keep papers that verify their dog's breed. One more footnote: the ban also includes any other breed of dog that has killed or caused serious injury to another person or dog. GEORGIA -- Authorities are still searching for the person that shot a woman’s goat last week in northwestern Forsyth County. 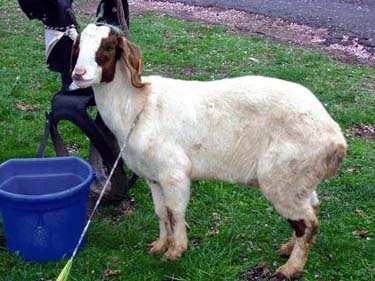 Sandra Scarboro’s 18-month-old, female Boer goat was shot March 29 with an arrow. Forsyth County Sheriff’s Animal Control unit is actively investigating the incident. Sheriff’s Lt. David Waters said animal control deputies have canvassed the area and talked with residents who live near Scarboro. “We do have a couple of leads we’re following up on,” he said. Waters has explained that if caught, the shooter could be charged with cruelty to animals, a felony. He said the arrow appears to be designed for training and not hunting. The wounded goat is one of about 40 goats and other animals Scarboro keeps on her Starrbrook Crossing farm. She said the goat, which she may name Fortune due to the animal’s luck in not being more seriously injured in the incident, is healing and she appreciates the efforts of the animal control unit. “They came down three or four times … nobody’s been found but I also had no other accidents, so that’s good,” she said. Scarboro said she hopes the person who shot her goat noticed media attention about the incident. “I’m sure a lot of people saw it and I hope that the right person got to see it and is not going to do it anymore,” she said. THAILAND -- A woman was mauled to death and three other people, including a toddler, were injured by her family's three pit bulls in Thailand, officials said Sunday. Authorities said Raksina Tejwattanabamrungkij, 37, was found dead at a rice mill her family owned in Nakhon Sawan, Thailand, Friday, her bloodied body covered in dog bites, the Bangkok Post reported. Family members said she was killed and the others injured by dogs raised to guard the family's mill. A Thai dog, one of eight of that breed reportedly also raised to guard the mill, was found injured with serious wounds after an apparent attempt to save Raksina, the newspaper said. The victim's mother-in-law, Charoensri Lorlertrat, told police she went looking for Raksina when she didn't return from releasing the dogs from their compound, and found the three pit bulls attacking her. Mrs Charoensri suffered serious wounds to the head, left ear and arms, while the toddler was only slightly injured on the head. 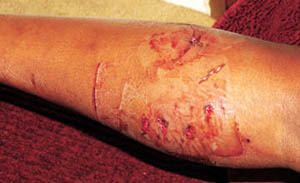 Raksina's younger brother was also bitten on his left arm and ankles. They were rushed to Tha Tako hospital. Charoensri's husband shot two of the pit bulls dead with a .38 caliber pistol, while the third dog ran away, the Star reported. TENNESSEE -- In the case of the 16-year-old girl that was bitten by Pit Bulls, an owner of the dogs has pleaded guilty to violating the city's vicious dog ordinance. Sue Mays, 42, 1887 Cumberland Av., was found to be the owner of the dogs that bit the 16-year-old female while she was walking down Browning Street in Dyersburg. Mays was cited into Dyersburg City Court for an appearance before Judge Dean Dedmon on Monday, April 6. She pleaded guilty to violating the city's vicious dog ordinance and was ordered to pay a total of $555.25 in restitution fees to the Dyersburg/Dyer County Humane Society and court costs. She also voluntarily relinquished the dogs to the humane society where they will be euthanized. Mays has until May 13, 2009, to pay the fees and court costs. 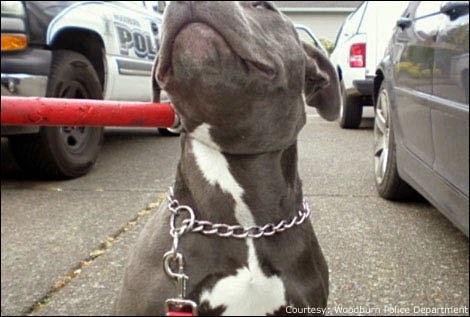 TENNESSEE -- A 16-year-old girl was attacked by two pit bulls on Browning Street close to Hawthorne Avenue. The juvenile was walking down the street when two pit bulls approached her. One was a brown female and the other was a grayish-color male. They ran toward her and went for her jacket, which she immediately took off. 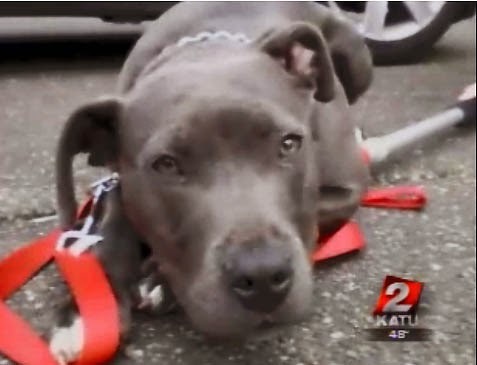 The gray pit bull then began biting her leg as the brown one latched on and wouldn't let go. The girl tried not to move and did not fight the dogs off for fear of them attacking her further. bull off. The dog had to be shot with a tranquilizer gun to subdue it. Two other people saw what was going on and tried to help the girl. They attempted to pull her away from the dog, but it held steadfastly to her leg. Finally, the dog released its grip and ran away with the other one. A family friend was driving down the street and rushed the girl to the Dyersburg Regional Medical Center emergency room, where she received treatment. Her wounds consisted of bite marks, scratches, puncture wounds and bleeding. One deep wound had to have a suture, while the others were too jagged for stitches. The wounds were cleaned and she received antibiotics and a tetanus shot. Dyersburg police notified animal control of the incident and they located the dogs. The brown female had to be shot with a tranquilizer due to its aggressive nature, while the other one was caught with a hog catcher. The brown one that did the most damage was a pregnant female. "This kid could have been killed," said animal control officer Barry McCord. "If it had been a smaller kid, it probably would have crushed her leg." McCord and fellow officer Tim Hatch are concerned about pit bull attacks becoming more common as the weather turns warmer. "This has been my second one (bite case) in a month's time," said Hatch. "Honestly, I think something needs to be done." McCord said that he believes the owners, if found, should not be able to get these pit bulls back. "I don't care if they built a pen out of gold, they shouldn't get these dogs back," said McCord. "Because nine times out of 10 somebody's going to have to pay these medical bills and they're not going to pay them." The victim's father, John Higgins, is angry that his daughter was bitten by the pit bulls. "Whoever these dogs belong to, I'm going to press charges," said Higgins. wounds to her left calf. After the incident, he drove around the area where his daughter was bitten. "There are a whole lot of pits over there," said Higgins. A police report was filled out on the dog bite and efforts are being made by the Dyersburg Police Department to find the owners of the dogs. "On dog bites or reports of vicious dogs, the police make every effort to locate the owners," said DPD spokesman Capt. Steve Isbell. "If a violation has occurred, citations will be issued. We enforce the leash law, as well as the vicious dog ordinance." 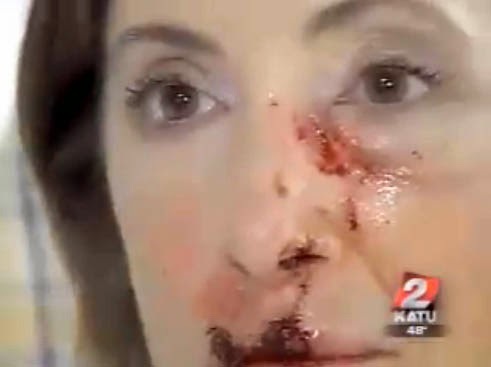 Police reports show that there were 21 "dog bite" reports written by the DPD in 2008. The figures show that out of the 21 reports, 10 of those bites were from pit bulls, 10 were from dogs whose breed could not be determined and one was from a greyhound. So far this year, there have been five police reports written on dog bites and four reports written on attempted dog bites. Of those reports, three were on pit bulls and the breed of dog was not known in the other two. The dogs in this case are being housed at the Dyersburg/Dyer County Humane Society. McCord said they would hold the dogs for 10 days and then ask for their destruction. During this time they will be kept under observation for signs of rabies. Figures from the Dyersburg City Attorney's office show there were 35 court cases involving dogs within the last year, in the city. Of the 35 cases, 29 of them involved pit bulls. Also, there were six dog bite cases and all of those were from pit bulls. All six of the pit bulls were euthanized, due to either being court ordered or the owner's decision. From April 12 of last year to March 31 of this year, 278 pit bulls came through the humane society shelter and 211 of those were euthanized. The humane society had 49 total court cases, which included the county and city. They also had 21 cases of dog bites. Not all dog bite cases go to court according to Dyersburg/Dyer County Shelter Supervisor Derek Avery. Ten pit bulls were included in the shelter's 21 dog bite cases and eight of them were euthanized. The two remaining pit bulls are the ones involved in this particular case. According to Avery, most of the dog bite cases ultimately end with the dog being euthanized. Dr. Carol Feather, president of the Dyersburg/Dyer County Humane Society, said they often run out of room at the shelter to accommodate dogs in court cases. "Sometimes we have to put down some lovely dogs to make room for the dogs in court cases," said Feather. * Any dog with a known propensity, tendency, or disposition to attack unprovoked, to cause injury to, or otherwise threaten the safety of human beings or domestic animals. * Any dog which, without provocation, attacks, bites, or has attacked or bitten, a human being or domestic animal, on public or private property. * Any dog that, without provocation, barks excessively, snaps, bites or manifests a disposition to bark excessively, snap or bite. * Any dog owned or harbored, primarily or in part, for dog fighting or any dog trained for dog fighting. * Any dog not owned by a governmental or law enforcement agency used primarily to guard public or private property. * Any dog that tends to endanger the safety of a human being by the habitual chasing of automobiles, trucks, bicycles, motorcycles, motorbikes, or motor scooters on either public or private property. If the owner of a dog can be determined then they are issued a summons. believed to have done the most damage to the girl. The judge must determine if the dog can be deemed vicious or that it has been maintained under the requirements of the city ordinance. If the dog is determined to be vicious, then the judge can levy a fine of up to $50, require that the dog be maintained under the city ordinance or order the destruction of the dog. The judge can also assess court costs, any fees that the animal shelter has incurred due to the care and boarding of the animal and can hold the owner responsible for the costs of the humane destruction of the dog. If a dog is allowed to go back to its owner, certain requirements must be met to allow for its return. One condition would be the confinement of the animal inside or in a securely enclosed, locked structure outdoors with signs indicating the presence of a vicious dog. Next, the caretaker of the dog is not able to go beyond the premises unless it is restrained on a leash with a secure muzzle. The owner must also provide proof of liability insurance in the minimum amount of $50,000 within 30 days and have the city of Dyersburg as an additional insured so they will be notified if the insurance is terminated, lapses or is canceled. Finally, a permit must be issued from an animal control officer saying all conditions have been met and a $25 fee must be paid for the permit. So far, only seven permits were issued last year in Dyersburg. Of those seven permits, just one was for a dog bite case, but it was unconfirmed and could not be proved it was a bite. The owner of the two pit bulls in this case has not been located at this time. If anyone knows who the owners of the dogs are in this case they are encouraged to call the Dyersburg Police Department at 285-1212. FLORIDA -- Lola's bones jutted through her infected, sore-covered skin. She tried to eat twigs that fell beside a tree. She could barely walk. That's what Police Officer Matthew Medeiros saw when he found the yellow Labrador retriever. 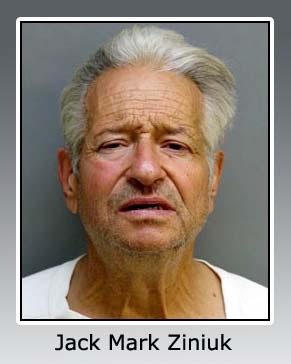 Medeiros questioned the woman who was walking Lola near her Boynton Beach home Wednesday night. The officer stopped Josephine Brandle about 11:15 p.m. in the 600 block of Asbury Way. She was arrested on a felony charge of animal cruelty and booked into the Palm Beach County Jail. Brandle, 54, was released Thursday evening. 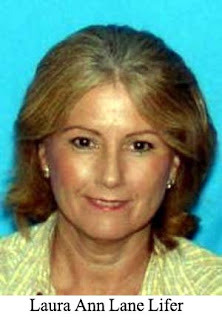 Her son, Thomas, who lives with her, claims police exaggerated Lola's condition. Thomas Brandle, 22, said his mother, who works as a waitress, cooked chicken and steak for the 5-year-old dog. "She loved that dog, she loved it with all her heart," he said, "Lola was happy when my mom was around." "She feeds the dog ramen noodles to try to fatten the dog up," Medeiros wrote. "I was able to clearly see the dog's skeletal structure, especially the spine and rib cage area." Brandle told the officer that Lola had never been to a veterinarian. She said she didn't have any dog food. Lola slept in the bathroom and her water bowl there was empty. Police brought Lola to the Boynton Beach Animal Control kennel and took Brandle to jail. Boynton Beach animal control supervisor Liz Roehrich said thedog is doing well.